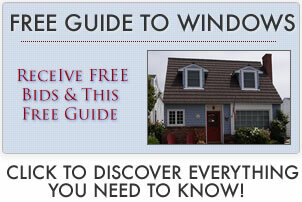 Finding a quality window replacement estimate is essential when replacing your windows. Getting three is even better; it lets you compare window costs and pricing, the per opening install price, removal fees, the order and install timetable, etc. Start out by getting 3 window replacement estimates that are broken down by the different parts of the project. For ballpark pricing use our estimate calculator. 1. A very basic project outline with number of windows and total cost. 2. Pricing for all prep or demo work, removal fees/costs, etc. 3. Pricing for the actual replacement windows themselves. 4. Installation costs per opening (bay windows might run $1800 just on the installation where a double hung may cost $150 per opening). 6. A project timetable with payment schedule (only necessary on large projects). 9. Whether the installation is warranted. The warranty should also be explained. Once you have each window replacement estimate (broken down by price into the different project components), you can make sure that each part of the project price is in line with the others (for instance if one contractor is charging an extra $400 for removal). Examine each one and then compare them to see if there are any discrepancies in pricing between the three. Being able to compare each replacement window estimate to one another can help you negotiate the project price by focusing on a single piece of the bid (“so why do you charge $175 per opening for the installation when my other two bids are at $125?”). Get 2 – 3 references, with at least 1 that’s at least 4 years old. Phone them up or and ask about their experience with the contractor and how the windows/installation has held up over the years. If problems have come up, it is a great opportunity to find out how the replacement contractors and window manufacturer handles problems. For recent projects in the area, it is nice to drive by and see how the home looks and see if the homeowner is willing to let you take a quick look (obviously this is uncomfortable for lots of people so don’t push it, just ask). By seeing an older project and a newer one, you can be assured that the work is solid, consistent and that the window replacement estimate is worth the money. If you are dealing with a great window installer, they probably charge more – and they are probably worth it! Check out these top selections from Consumer Reports.